Cambridge Junction programmes regular family theatre, dance and circus. Join us for one of our FREE pre show, drop-in arts and craft ‘Hands on Happenings’ sessions in the Cambridge Junction foyer. These creative activities, led by professional visual artist Sophie Cullinan, are themed to tie in with the family shows that you will be seeing on stage. Hands on Happenings will be available an hour before the show i.e. 10.30 for 11.30 show. The sessions do get very busy so early arrival is advised. If you do miss out before the show, Sophie will still there when the show finishes for a short time. Please note that Sophie will not be around after the final show of the day. Please ask one of our friendly staff on the day who would be happy to help and point you in the direction of Hands on Happenings. Sophie is a visual artist who works with a diverse range of children and adults to make participatory workshops of all scales and size. She specialises in working with large numbers of participants to make dynamic site-specific installations and has created participatory works across the UK including for Tate Liverpool and The National Trust. 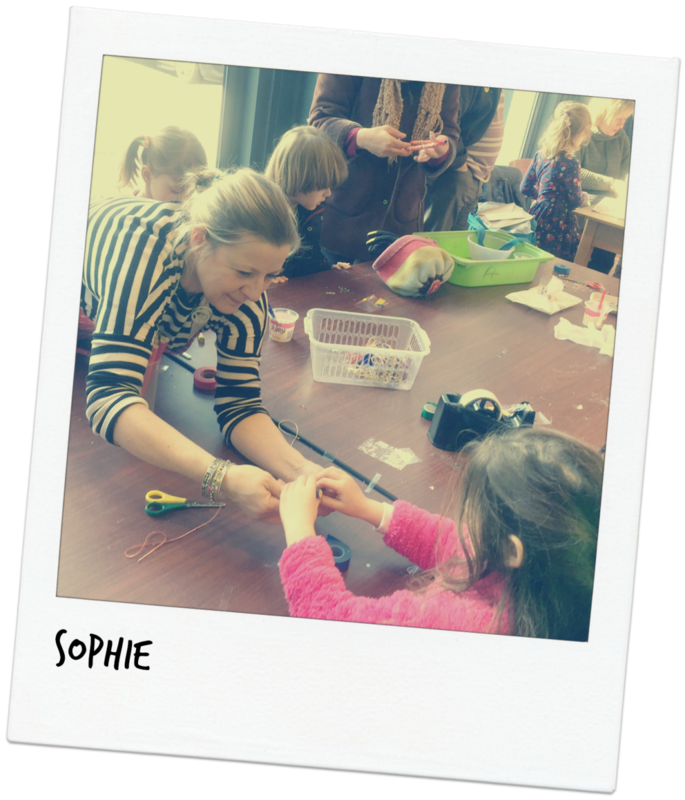 Sophie has been working with children and their families here at Cambridge Junction since 2015 to create exciting and varied pre-theatre art activities.